Weight gain is the result of your body not using all the energy it is provided and storing the extra calories as fat. Although weight gain is most often associated with a high calorie intake or low physical activity levels, many factors can compromise your body's ability to properly metabolize the energy provided from the foods you eat. Among those factors are endocrine disorders, such as hypothyroidism and polycystic ovary syndrome; some medications; high stress levels; and inadequate sleep. Food allergies, such as a gluten intolerance, might also be a culprit, either with weight gain or an inability to lose weight. Most people are familiar with celiac disease, a condition that affects 1 percent of the population and that is characterized by an allergy to gluten and a wide array of gastrointestinal issues. The only treatment for this serious medical condition is a lifetime of gluten elimination. Although gluten intolerance is not routinely investigated or diagnosed, it affects at least 6 percent of the population, or 18 million Americans, according to the Celiac Research Center at the University of Maryland. 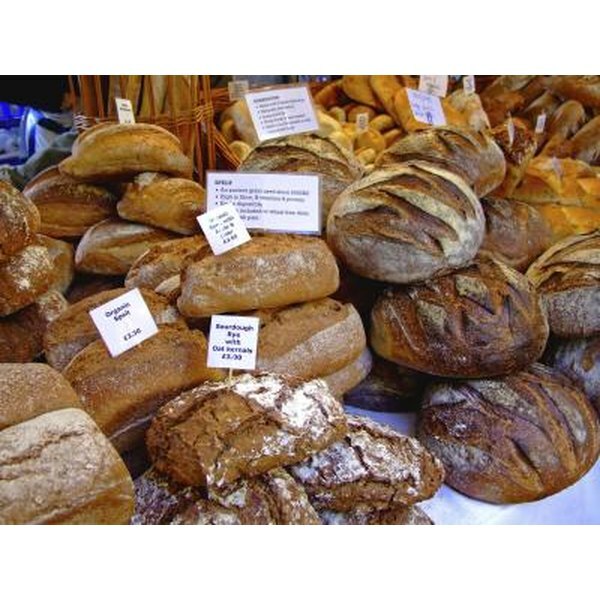 If you are intolerant to gluten, you might experience different symptoms that can be hard to relate to such an intolerance, especially considering the symptoms are usually not specific and highly variable between individuals. Some people experience headaches, brain fog, gastrointestinal problems similar to those associated with irritable bowel syndrome, fatigue and even tingling in the extremities. Dr Stephen Wangen, founder of the IBS Treatment Center and author of "Healthier Without Wheat," also reports an extensive list of conditions associated with gluten intolerance, including attention-deficit hyperactivity disorder, vitiligo, gastro-esophageal reflux, rheumatoid arthritis, acne, asthma and osteoporosis, among others. Weight gain can also result from gluten intolerance, probably due to an increased appetite and hunger. Although more research is needed to explain the link between gluten intolerance and metabolic disorders, such as weight gain, some mechanisms have been spotlighted to explain this observation. For example, Tommy Jönsson, researcher at Lund University in Sweden and author of a paper published in the December 2005 issue of "Nutrition and Metabolism," proposes that gluten, and potentially other lectin in grains, would contribute to the development of leptin resistance. Leptin is a hormone involved in sending satiety signals, which tell your brain you are full and have had enough to eat. If your body becomes resistant to its action, you are more likely to be consistently hungry, eat more at and between meals, and gain weight. Getting an accurate diagnostic of your gluten intolerance, or trying to identify how gluten might make you put on extra pounds, is not easy and does not guarantee you'll find an answer to your problem. The best way to determine whether you are gluten intolerant and whether gluten is causing you to gain weight is to completely eliminate gluten from your diet for a period of at least one to two months. During that time, read food labels carefully to avoid all traces of gluten, and if you eat out, ask the server questions to ensure your food does not contain gluten. Track your symptoms and your body weight, and within a few weeks, you will be able to clearly see whether gluten was the problem behind your weight gain.